Natural marble, granite, limestone, travertine and engineered Caesarstone, Essastone, Quantum Quartz, Silestone, Smartstone and HanStone kitchen benchtops, bathroom vanities, bar tops and tables require regular care to keep them looking clean and attractive. 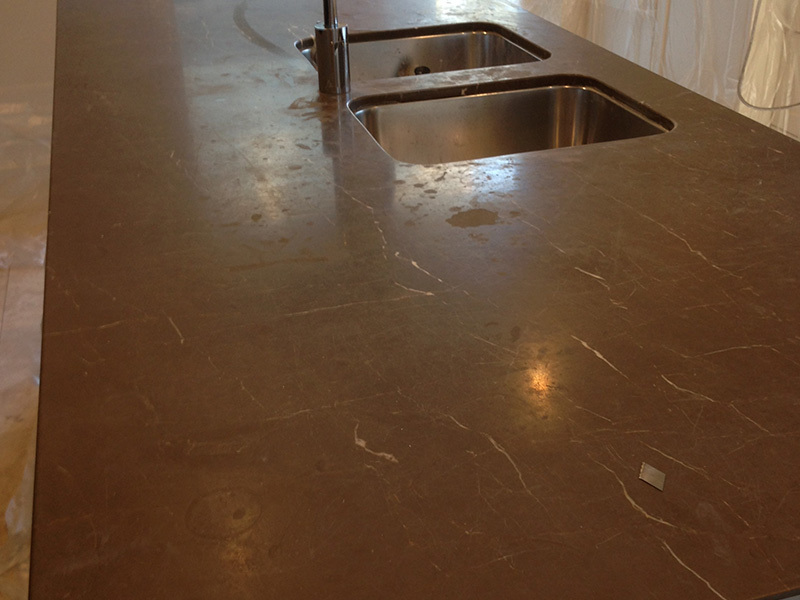 Some natural stone benchtops are porous and if not sealed can be susceptible to staining. The Marble Man specialises in removing stains from kitchen benchtops, bathroom vanities, bartops and tables using a poultice or special cleaning products. 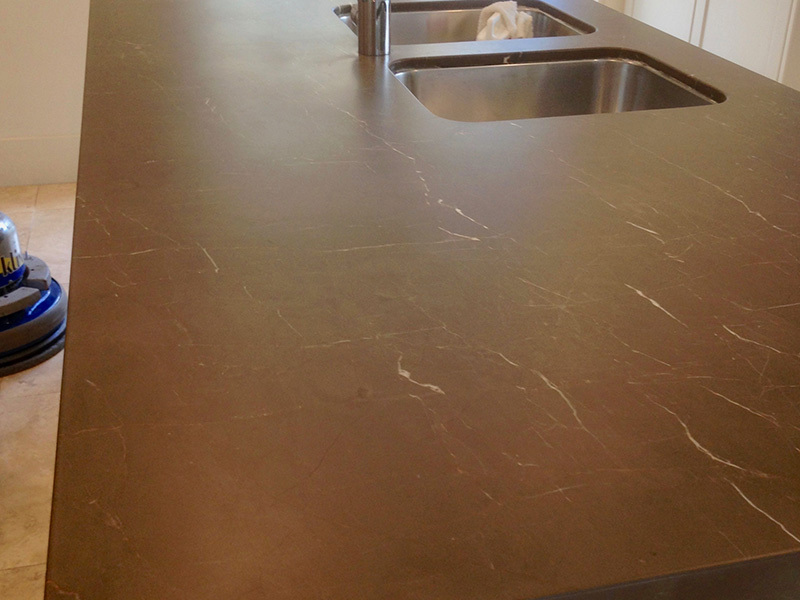 Our trained technicians will assess your stone to determine the level of cleaning it requires and recommend the right products to keep your stone benchtops looking like new. 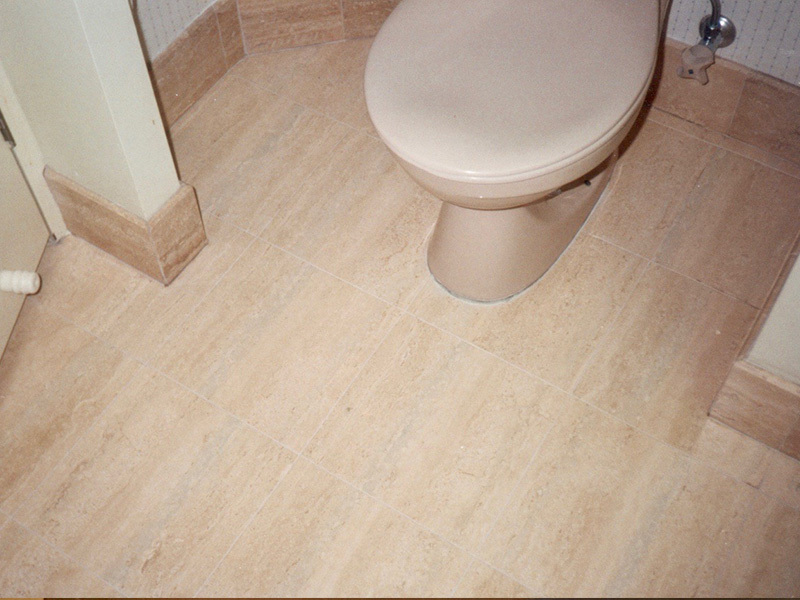 Floors made from natural limestone, travertine, marble, granite and other natural stones and engineered stone floor tiles look spectacular and add value to any home or commercial building. These stone floors however are often exposed to high foot traffic resulting in the accumulation of dirt and discolouration. 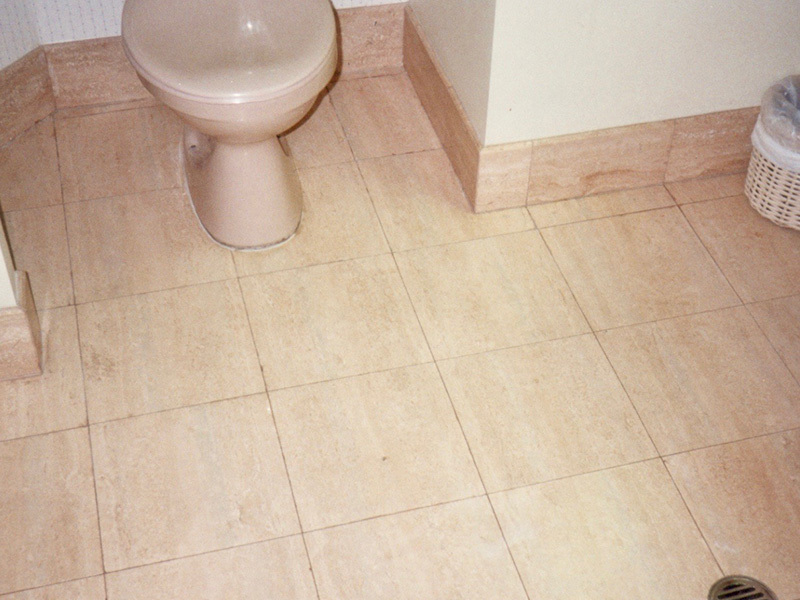 Some stone floors are more porous than others and can stain easily if not sealed. To restore the original clean and bright finish to your stone floors The Marble Man uses special cleaning products and methods. 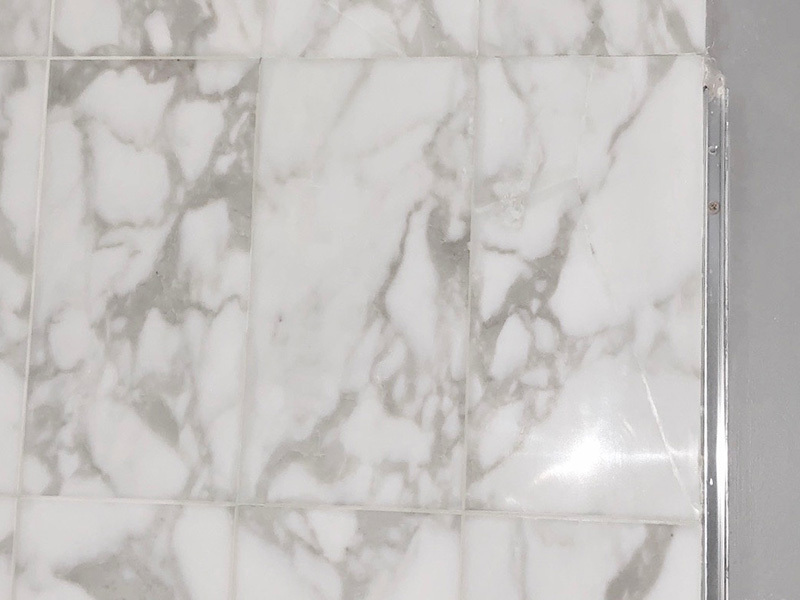 Our skilled technicians will remove the dirt and stains from your stone floors and recommend the right products to use to keep it looking clean and fresh. 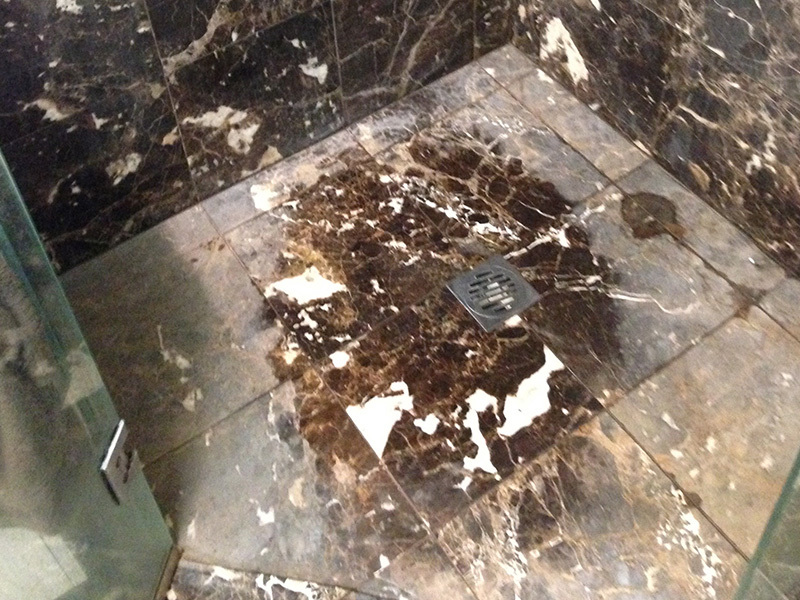 The appeal of a highly polished natural marble, limestone or travertine shower is undeniable, however it is an area prone to the build up of soap scum on walls floors and glass and the accumulation of mould on silicone. Daily use and exposure to hot water and chemicals can leave the stone, grout and silicon looking dirty and mouldy. 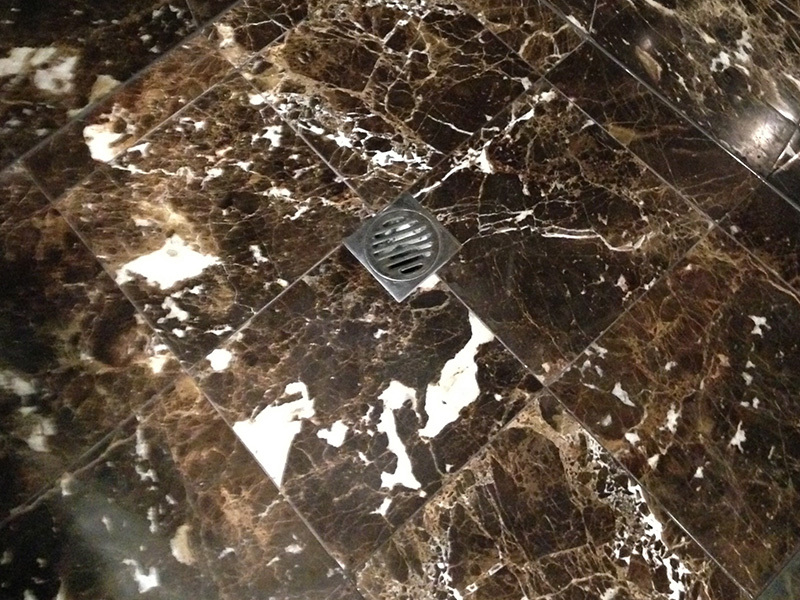 The Marble man is a specialist in cleaning and polishing marble, limestone and travertine showers to remove soap scum, mould and discolouration from the stone walls and floors. With the right products and cleaning systems our technicians will leave your stone shower walls and floors feeling smooth and looking sparkling and revived. 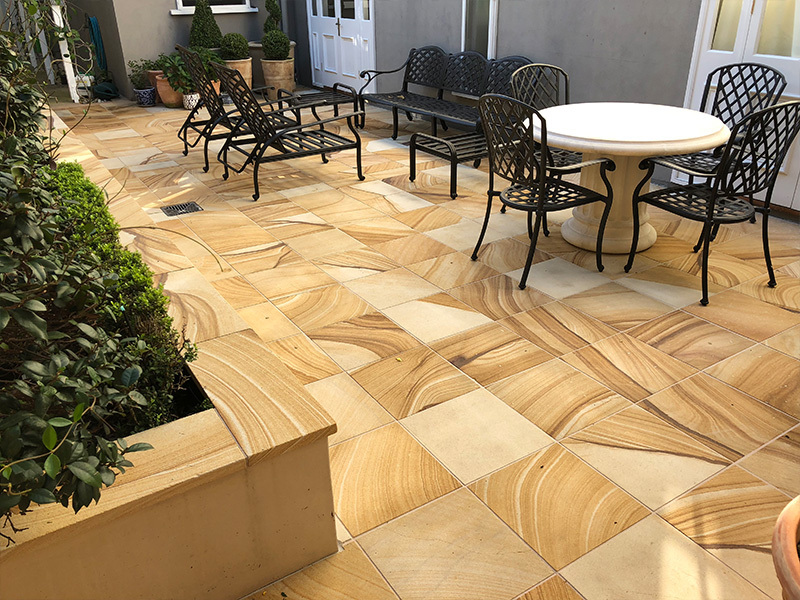 Outdoor pavers around pools, in courtyards and on driveways, made from sandstone, limestone, travertine, terrazzo, flagstone and granite are quite resistant to weather however they are susceptible to staining and discolouration from outdoor pollution, soil, pool chemicals, leaves, oils and bird droppings. Sealing will protect these stones to a degree however regular cleaning is recommended to avoid long term damage and the need for resurfacing. 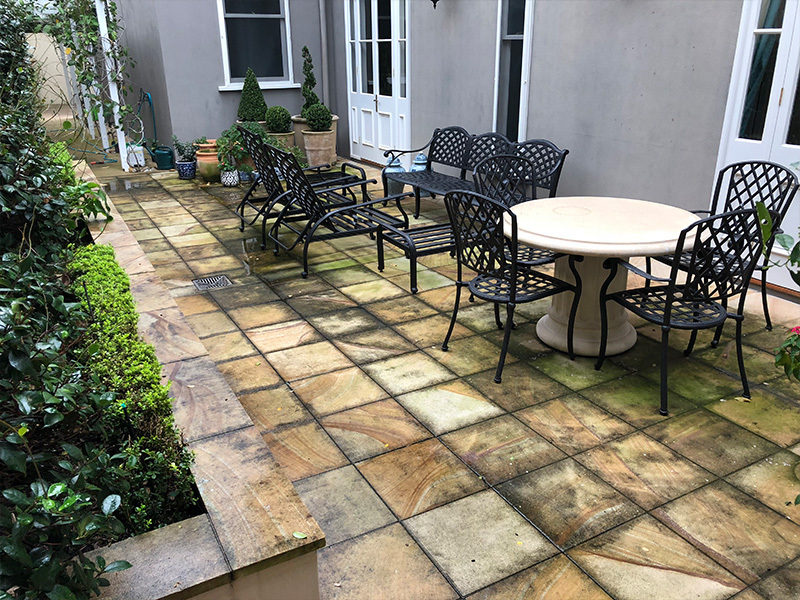 The Marble is experienced at successfully removing discolouration from green moss, mould, leaves and other organic stains using special cleaning products and systems. Our technicians will revive your outdoor stone pavers so that the appeal of your pool or entertaining area is restored.